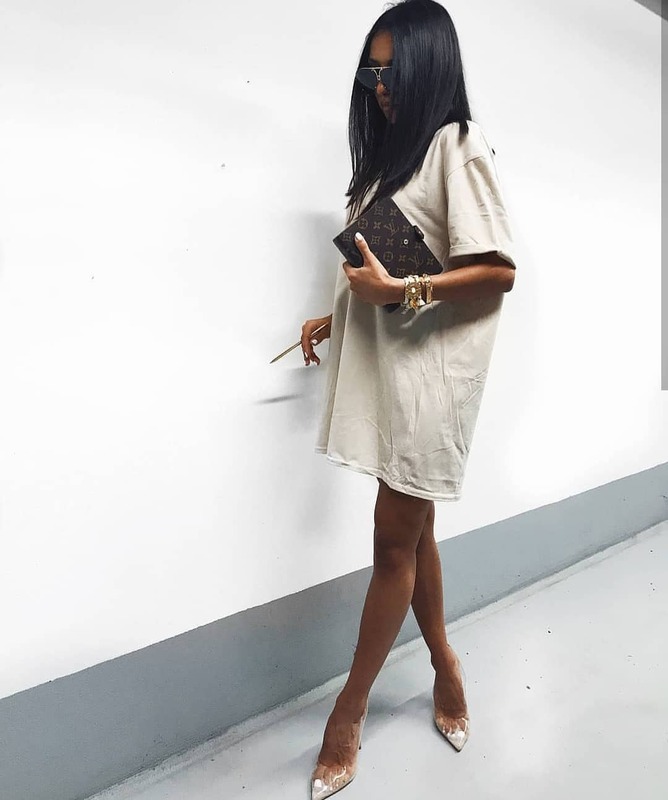 Keep it cool and sassy with an oversized T-shirt dress in white. Complete it with a pair of clear heels, clutch bag, and aviator sunglasses. You can keep things simple and casual this Summer, as I am here to share with you a stunning cream-white oversized T-dress completed with clear heeled pumps. You can also add oversized sunglasses, Louis Vuitton clutch bag, and a gold arm party. Looking for a fabulous Summer outfit? Try on this marvelous open back white lace bodysuit paired with ripped slim blue jeans and white heeled pumps with clear details. Complete this Summer hot combination with a shoulder clutch bag and your favorite earrings.